1 John 5:19 - We know that we are children of God, and that the whole world is under the control of the evil one. Include one or two of the most popular keywords such as ‘free’ but make sure they are relevant to your content. 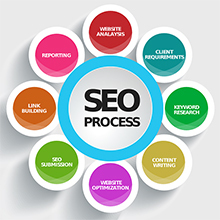 The first 25-50 words of your site will be used as a description when listed by a search engine - use lots of keywords. Increase the number of keywords on your page by putting them in your image ALT tags and file names. Include misspelled keywords – everyone makes spelling mistakes. Don’t use words like ‘in’, ‘a’, ‘to’, ‘the’, ‘was’, in your keyword phrases – they will just be ignored by the search engine.